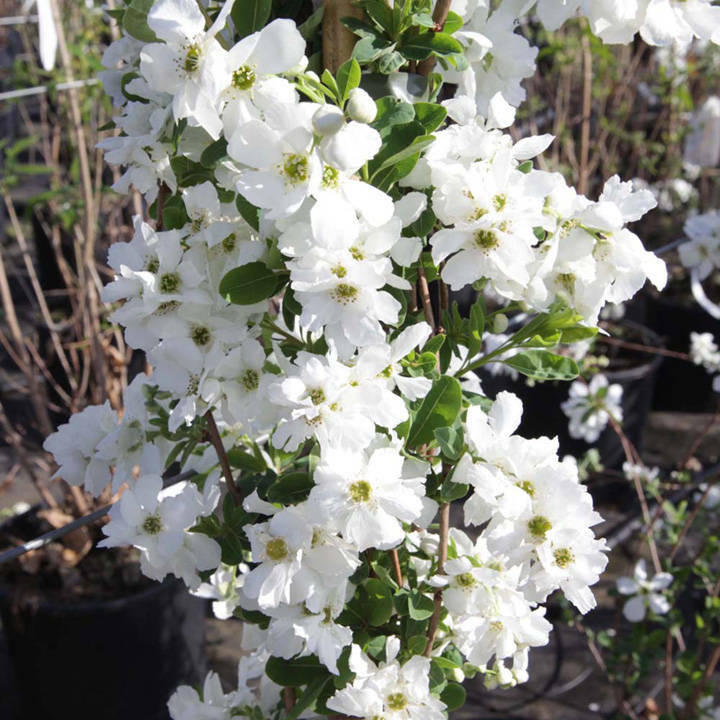 Exochorda macrantha 'The Bride' is a deciduous shrub which puts on a spectacular performance in spring, when the branches are smothered in clusters of white flowers. 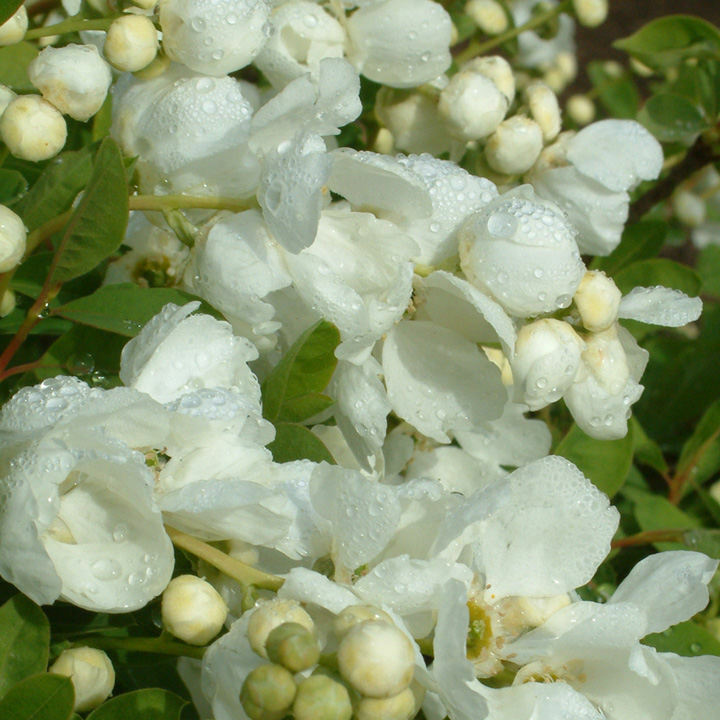 It grows best in full sun, although it will tolerate a small amount of shade, and prefers a moist well drained soil. Gorgeous in a mixed border. Height 150-200cm. Supplied in a 3 litre pot.